Thanks for all the well wishes on my stupid cold. Full blown today and my head feels like a balloon. Doesn't stop me though from blogging. Today I would like to feature, some of the awesome Newbies from last weeks party. You are all awesome and I thank you for joining me each week. This party is for YOU, so I hope you do enjoy it. I truly felt like this room was fit for a queen, it is just that beautiful! 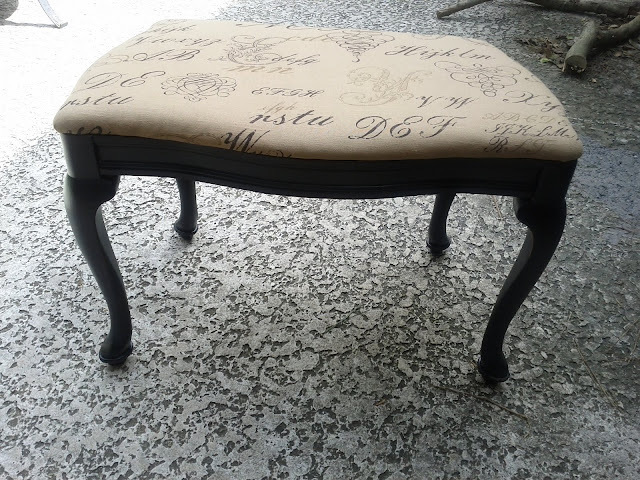 Next, Margaret from Chantilly Charm shares this cute little bench found at a yard sale, and then totally transformed. Amy from the Savvy stager, shares her daughters bedroom makeover. Is that NOT fantastic? It is so fun! Nice job indeed. 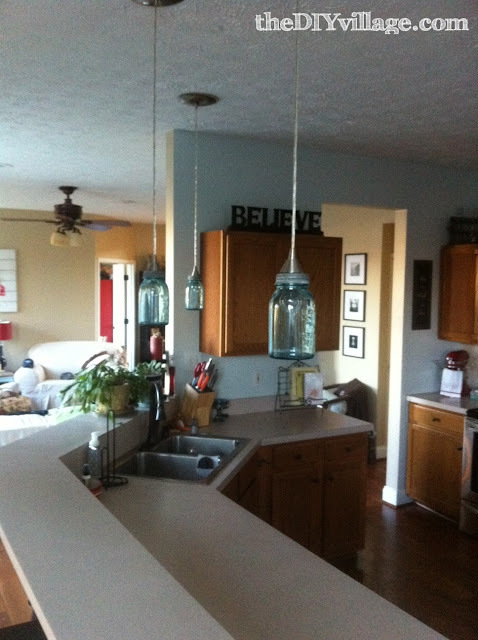 Love this last idea from the DIY village shares a very clever idea. Jacque also gives a great tutorial as well. Thanks all for stopping by. See you later on for the Newbie party. Feel free to grab my crowed about your button if you were featured! So much talent out here!! Great features Debbie! all great features.. I need to do that to my bench.. maybe I can Copy her's lol..
Great features Debbie! 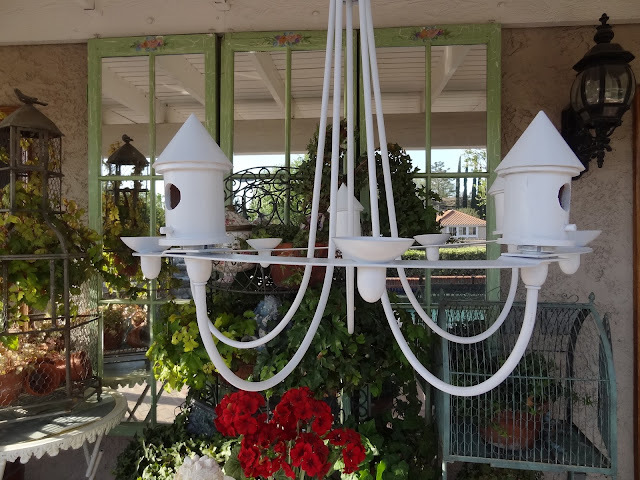 I especially love the stool and that birdhouse chandelier. Enjoy your day and feel better soon! Great picture Debbie. I love that stool I have commented on it on other Party Blogs. Happy Sunday. Love all of these features...what a beautiful master bedroom! Awesome features, Debbie! And, I hope you feel better sooooon! I missed the party. There were some awesome projects out there. Thanks for hosting. I won't miss the next one. OK....first of all, I hope you can kick that ole cold soon. I know how lousy they can make you feel. Debbie, our house has been there, I so feel for you with your cold! As for those pictures, there is some awesome talent out there! Fun to see creative people at work. Richard from My old Historic House. Sorry you couldn't pass on that cold! I love that little Frenchy bench, too. Oooh...such beautiful inspiration! Thank you for sharing with us! I love, love, LOVE that beautiful fireplace!!! So sorry to hear that you are feeling a little "under the weather", sweet lady! Sending hugs and prayers your way...feel better soon! Great Features Debbie. I so love the stool. Ps - following you on Linky - want to stay in touch!! I started a project last week, nothing big or amazing, but you know - gotta have SOMETHING for the newbie party. Hopefully I finish it now so another week without an entry doesn't go by. And then there is a magazine challenge thing or two...... I need a nap. Thank you so much for featuring us with all of these other wonderful ideas! I love the talent out there...these were some inspirational ideas. Now, get some rest and feel good tomorrow! Sorry you aren't feeling well. I had a really bad head cold last week. Being the loving wife that I am, I shared it with The Man....lol! Being the sweetie that he is, he isn't holding a grudge. Just try to keep your "busy little self" warm, rested & don't forget those fluids. I love your little tea cup tea lites. They are adorable. Great ideas and projects....I'm trying to clean and stay on task but it's so hard....I want to do the "fun stuff"! LOL! Thanks everyone for sharing all your hard work!